Greenscape, Inc. is about more than pretty lawns. 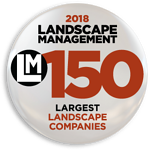 We’re a forward-thinking landscape design/build company that has 35 years of experience in the business but is also striving to bring a fresh perspective to the green industry, focused on health, wellness, social connection and the environment. Greenscape Inc. is seeking an energetic, goal-oriented leader to fulfill the role of Small Engine/2 Cycle Mechanic in Holly Springs NC. The ideal candidate is highly motivated, outgoing, and a great communicator with strong time management skills and an eye for innovation and process improvement. • Must regularly lift and/or move up to 10 pounds, frequently lift and/or move up to 25 pounds, and occasionally lift and/or move up to 50 pounds. This is a full time position with career advancement opportunity, superior base salary and benefit package. Greenscape Inc. is an Equal Opportunity and E-Verify Employer. The above statements are intended to describe the general nature and level of work being performed by people assigned to this job. They are not intended to be an exhaustive list of all responsibilities, skill, efforts or working conditions associated with a job.